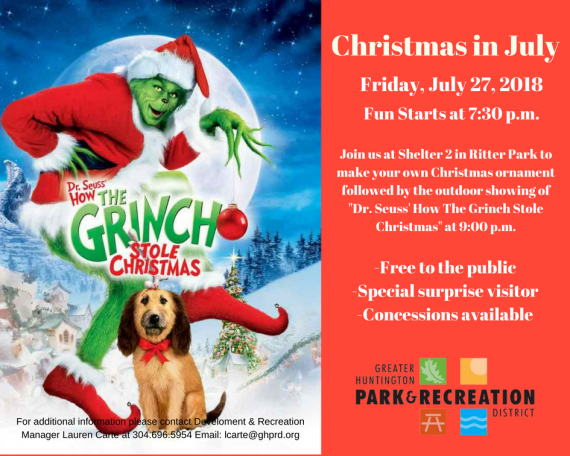 Home » News » GHPRD presents Christmas in July! GHPRD presents Christmas in July! Don’t be a Grinch! There’s only six months left until Christmas. 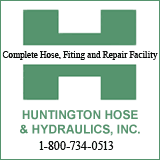 The Greater Huntington Park & Recreation District is excited to celebrate Christmas in July at Ritter Park. Christmas in July encourages people of all ages to get in the Christmas spirit a little early! This event will kick off with an arts & crafts hour, as we will make Christmas ornaments, followed by an outdoor showing of Dr. Seuss’ How the Grinch Stole Christmas! A special surprise visitor might even drop by!